This may come as a surprise to some people who know my opinions on the subjects of data in general and Big Data in particular. Nevertheless, I believe that Data Warehousing has the flexibility, agility and rationality required to save Big Data from its almost certain fate. Not all of it of course, but at least the parts of it that are actually worth saving, or better said, are worthy of some consideration, by some people and businesses, some of the time. Big Data, as the ultimate expression of the fractious and feverish search for nuggets of gold in zillions of buckets of trash, has seen its day. Long gone are the times when Big Data pundits could, metaphorically speaking, look at a windswept Saharan desert suffering temperatures in the high forties, and enjoying the ageless absence of water, infrastructure and commerce, and see it as a massive opportunity of unequalled proportions for building supply merchants around the world. Look back on it as a “Want sand? We´ve got sand!” and “Want data, we´ve got data!” Sort of thing. First, it may be helpful to look at the existential threats facing Big Data. Many people are very foolishly and ignorantly claiming that Big Data technology (and by this they mean the Hadoop ecosphere) will see the demise of the need for Data Warehousing and the use of relational database management systems. This represents an existential threat to Big Data because it tars it with a thick layer of hubris, ignorance and arrogance. When people see Big-Data-hype for what it is, and there is plenty of it around, will they damn all of Big Data, or will they be selective, considered and rational? Usually we are not so selective and Big Data could become mortally wounded, a pariah at the edge of data management and architecture. Another threat is in a similar vein. There are a plethora of Big Data success stories that are either not success stories, are not Big Data success stories or are simply vacuous attempts at ‘bigging up’ Big Data but without actually providing anything in the way of facts, reason or substance. We see swatches of this detritus on forums like Forum X (real name witheld to placate the censor) every week, as scoundrels pimp Big Data as if it was some ten-cent prostitute down on their luck. It’s tacky, unprofessional and demeaning, and yet this is another way to ensure that Big Data becomes suspect, marginalized and ultimately ignored. Maybe the biggest threat to the Big Data movement itself comes from the most unlikely of places; well, on a superficial level at least. It´s the Hadoop ecosphere itself. Hadoop was born of necessity. When Google wanted to crawl the entire World Wide Web and index it on an ongoing basis, there was nothing that really satisfied the need, so they made their own solution. All fine and dandy. But DIY software for data architecture and management on this scale is a costly basis, so what better the sharing the love right? With products such as Oracle there is a massive user base that supports the cost of maintenance, corrections, enhancements and new feature releases, and these costs are spread out so that individual businesses only pay for a miniscule part of development costs. Not so when you have developed your own proprietary in-house solution- It´s not a product, it has not been productized and it almost impossible to get others to chip in to pay for bug fixes, corrections and architecture refractoring and the design, development, testing and release of feature enhancements. Unless you are prepared to either take the product to market or to get people to participate in the global open source game. To be polite, one could say that launching Hadoop in the way it was launched, and at the time it was launched, was a mistake. But could Google continue to fund Hadoop on their own or even expand the Hadoop ecosphere without the involvement of others? Maybe they could have, they had deep pockets. However, in business terms, would that have been wise? In my view, the public launch of Hadoop was like launching Oracle RDBMS in 1971, twenty years before RDBMS really started to take off in a big way. That´s being polite. However, to be brutally honest, in historical perspective terms, Hadoop is no Oracle. The problem is simple, just how many companies need to commodity based massive search, count and very-simple-list producing engine. It’s a brute strength and simple product that meets Google’s requirements, but how many businesses do what Google (or for that matter Facebook, Twitter, LinkedIn or YouTube) need to do? That´s the third existential risk right there. Hadoop has been deliberately made synonymous with Big Data. Hadoop falls and it might take all of Big Data down with it. We can wait and see, or we could do something about it. At least to save the ‘good bits’. So what is this ‘something’ that we could do? Anything of significance we do should have a corresponding significant business imperative. Moreover, when I say business imperatives I mean business-imperatives, and not expedient IT-imperatives along the lines of “we must do something, anything”. In the context of the full range of data integration possibilities, we can conceptualize how we can enrich data on the Data Warehousing landscape by complimenting, for example, abstractions of corporate data derived from operational systems and internal and external structured databases, with data that refines, improves and expands segmentation, delineation, categorization and classification. We should strive to understand how we can model ideas for improving the time and place utility of data, and through the incorporation of the outcomes of more immediate analysis, such as that derived from Big Data processing and analytics. We should look at the Data Warehouse eco-sphere options we have for addressing the near-term (including near-real-time) decision-making capabilities offered throughout the operational landscape, including through more aligned self-service web applications, common examples being those hosted by Amazon, Adidas and Zalando. This is where the Inmon conception of Data Warehousing will really kick-in, especially where we augment a typical Data Warehouse landscape with a near-real-time Operational Data Store, Analytics Data Store and a robust, multi-faceted and totally interconnected Core Statistics platform, which would include Big Data data-management, technology and analytics. In essence, we must see that we can use Big Data, combined with Enterprise Data Warehousing as a better means to address significant business challenges, and based on this we should create a strategy for implementing and executing a programme that will create those synergies and drive the benefits accruable from the strategy that we designed to do just that. I have spoken and written about how to bring Big Data into the mainstream of Enterprise Data Warehousing, and I will end this piece by reiterating some of the key points of the approach. To recap, the overall architecture consists of 3 major components: Data Sources; Core Data Warehousing; and, Core Statistics. The standard UNIX distributions can support parallel file manipulation commands, for mapping and reducing data in files that can be theoretically in the order ofzebibytes. Document DBMS – This is a class of database management system oriented towards the management of unstructured, semi-structured and complexly structured documents, primarily digital textual documents. Examples of what might be labeledDocument-oriented DBMS include Documentum EDMS and MongoDB. But, also remember these words from Colin Powell: “Experts often possess more data than judgement.” So, be forewarned and forearmed. The choices of technology products are based on best fit criteria, so the use of technology should not be driven by the old commercial approach of ‘solutions in search of problems’ approach, which failed so miserably time after time again, but on ‘what are the most appropriate artefacts, resources and technologies to use in approaching this problem or testing this hypothesis? Hold this thought: To paraphrase the great Bob Hoffman, just when you think that if the Big Data babblers were to generate one more ounce of bull**** the entire f****** solar system would explode, what do they do? Exceed expectations. I am a mild mannered person, but if there is one thing that irks me, it is when I hear variations on the theme of “Data Warehousing is Big Data”, “Big data is in many ways an evolution of data warehousing” and “with Big Data you no longer need a Data Warehouse”. Big Data is not Data Warehousing, it is not the evolution of Data Warehousing and it is not a sensible and coherent alternative to Data Warehousing. No matter what certain vendors will put in their marketing brochures or stick up their noses. In spite of all of the high-visibility screw-ups that have carried the name of Data Warehousing, even when they were not Data Warehouse projects at all, the definition, strategy, benefits and success stories of data warehousing are known, they are in the public domain and they are tangible. Data Warehousing is a practical, rational and coherent way of providing information needed for strategic and tactical option-formulation and decision-making. Data Warehousing is a strategy driven, business oriented and technology based business process. We stock Data Warehouses with data that, in one way or another, comes from internal and optional external sources, and from structured and optional unstructured data. The process of getting data from a data source to the target Data Warehouse, involves extraction, scrubbing, transformation and loading, ETL for short. Subject Oriented: Operational databases, such as order processing and payroll databases and ERP databases, are organized around business processes or functional areas. These databases grew out of the applications they served. Thus, the data was relative to the order processing application or the payroll application. Data on a particular subject, such as products or employees, was maintained separately (and usually inconsistently) in a number of different databases. In contrast, a data warehouse is organized around subjects. This subject orientation presents the data in a much easier-to-understand format for end users and non-IT business analysts. Integrated: Integration of data within a warehouse is accomplished by making the data consistent in format, naming and other aspects. Operational databases, for historic reasons, often have major inconsistencies in data representation. For example, a set of operational databases may represent “male” and “female” by using codes such as “m” and “f”, by “1” and “2”, or by “b” and “g”. Often, the inconsistencies are more complex and subtle. In a Data Warehouse, on the other hand, data is always maintained in a consistent fashion. Time Variant: Data warehouses are time variant in the sense that they maintain both historical and (nearly) current data. Operational databases, in contrast, contain only the most current, up-to-date data values. Furthermore, they generally maintain this information for no more than a year (and often much less). In contrast, data warehouses contain data that is generally loaded from the operational databases daily, weekly, or monthly, which is then typically maintained for a period of 3 to 10 years. This is a major difference between the two types of environments. Historical information is of high importance to decision makers, who often want to understand trends and relationships between data. For example, the product manager for a Liquefied Natural Gas soda drink may want to see the relationship between coupon promotions and sales. This is information that is almost impossible – and certainly in most cases not cost effective – to determine with an operational database. Non-Volatile: Non-volatility means that after the data warehouse is loaded there are no changes, inserts, or deletes performed against the informational database. The Data Warehouse is, of course, first loaded with cleaned, integrated and transformed data that originated in the operational databases. We build Data Warehouses iteratively, a piece or two at a time, and each iteration is primarily a result of business requirements, and not technological considerations. Each iteration of a Data Warehouse is well bound and understood – small enough to be deliverable in a short iteration, and large enough to be significant. High velocity: the speed at which data is generated, transmitted and received. These are known as the three Vs of Big Data, and they are subject to significant and debilitating contradictions, even amongst the gurus of Big Data (as I have commented elsewhere: Contradictions of Big Data). From time to time, Big Data pundits slam Data Warehousing for not being able to cope with the Big Data type hacking that they are apparently used to carrying out, but this is a mistake of those who fail to recognise a false Data Warehouse when they see one. So let’s call these false flag Data Warehouse projects something else, such as Data Doghouses. Failed or failing Data Doghouses fail for the same reasons that Big Data projects will frequently fail. Both will almost invariably fail to deliver artefacts on time and to expectations; there will be failures to deliver value or even simply to return a break even in costs versus benefits; and of course, there will be failures to deliver any recognisable insight. Failure happens in Data Doghousing (and quite possibly in Big Data as well) because there is a lack of coherent and cohesive arguments for embarking on such endeavours in the first place; a lack of real business drivers; and, a lack of sense and sensibility. There is also a willing tendency to ignore the advice of people who warn against joining in the Big Data hubris. Why do some many ignore the ulterior motives of interested parties who are solely engaged in riding on the faddish Big Data bandwagon to maximise the revenue they can milk off punters? Why do we entertain pundits and charlatans who ‘big up’ Big Data whilst simultaneously cultivating an ignorance of data architecture, data management and business realities? Some people say that the main difference between Big Data and Data Warehousing is that Big Data is technology, and Data Warehousing is architecture. Now, whilst I totally respect the views of the father of Data Warehousing himself, I also think that he was being far too kind to the Big Data technology camp. However, of course, that is Bill’s choice. Let me put it this way, if Oracle gave me the code for Oracle 3, I could add 256 bit support, parallel processing and give it an interface makeover, and it would be 1000 times better than any Big Data technology currently in the market (and that version of Oracle is from about 1983). Therefore, Data Warehousing has no serious competing paragon. Data Warehousing is a real architecture, it has real process methodologies, it is tried and proven, it has success stories that are no secrets, and these stories include details of data, applications and the names of the companies and people involved, and we can point at tangible benefits realised. It’s clear, it’s simple and it’s transparent. Just like Big Data, right? Therefore, the next time someone says to you that Big Data will replace Data Warehousing or that Data Warehousing is Big Data, or any variations on that sort of ‘stupidity’ theme, you can now tell them to take a hike, in the confidence that you are on the side of reason. Consider this: Did Big Data Kill The Statistician? Hold this thought: ‘There are big lies, damn big lies and big data science’. Statistics is a science. Some argue that it is the oldest of sciences. It can be traced back in history to the days of Augustus Caesar, and before. In 1998, Lynn Billard, in a paper that laid out the role of the Statistician and Statistics, wrote that “no science began until man mastered the concepts and arts of counting, measuring, and weighting”. As an effective business process paradigm and a powerful mixture of technology, engineering and pragmatic design, Enterprise Data Warehousing (EDW) is arguably unmatched in its capacity to address complex and essential information requirements in Management Reporting, Business Intelligence (BI) and Data Analytics. In spite of the occasional outbreak of anecdotal ruminations to the contrary, key indications point to a bright future for EDW. Indeed, the breadth and richness of nascent applications, that the EDW model can adequately support, will drive an expansion in its utility, acceptance and advancement. For instance, a significant and practical way of maximising the value of innovation and investment in Enterprise Data Warehousing is by reusing and extending the Inmon paradigm to construct the enterprise information hub of the future. With more imagination in our perception and interpretation of the EDW paradigm, and a greater sense of purpose in the way we align data demand and supply factors with the underlying analysis, development and delivery mechanisms, we can reach a better understanding of how a variety of information requirements can be satisfied through innovative uses of the EDW model. With a broader vision of the role of EDW in organisations, we can identify additional business requirements that EDW is more than adequately capable of accommodating. Indeed, if we look at the broadened market of potential EDW clients we can encounter applications in domains such as next generation Customer Relationship Management (CRM), Master Data Management (MDM), Service Oriented Architectures (SOA), Business Performance Management (BPM), Customer Data Integration (CDI) and Advanced Data Correlation (ADC). Now, in order for the EDW model to continue to be successful, and especially in the contemporary areas of applicability, it must meet these new and evolving requirements, simultaneously and visibly, whilst satisfactorily continuing to support its central role in the field of consistent, reliable and timely data analytics and reporting. In this respect, the EDW model provides the required coherency, flexibility and usability in a framework that permits the symbiotic coexistence of the iterative requirements of the traditional users of EDW (management reporting, departmental data marts, etc.) with the provisioning of data for new services. At the same time, this approach can satisfactorily address the requirements that are emerging from the disparate and pressing needs for low-latency and high-agility data integration in commercial and governmental organisations. So, what does this mean in practical terms? Probably a simple way of summarising the approach is by stating that the best practices, principles and technologies of the Enterprise Data Warehousing paradigm have further applicability in effectively addressing a variety of new requirements, and in ways that help organisations obtain, retain and reinforce cohesion and coherence in enterprise information management. Simply stated, you have this great approach for building data warehouses, but now you can use and extend this great approach to deliver requirements beyond the boundaries of traditional EDW. The inherent advantages accruable from this set of happy coincidences are necessarily tangible to a broad spectrum of the organisation, from EDW architect, EDW PM and EDW developer through to CIO, CFO and CEO. According to IBM, a reference architecture is, in essence, a predefined architectural pattern, or set of patterns, possibly partially or completely instantiated, designed, and proven for use in particular business and technical contexts, together with supporting artefacts to enable their use. Often, these artefacts are products of lessons learned from previous projects. Alternatively, for companies such as IBM, Teradata and Oracle/Sun Microsystems, etc. reference architectures primarily consist of storage, servers and software. What is common to almost all reference architectures is that they are solutions that have worked satisfactorily in a given set of circumstances. Reference architectures for Enterprise Data Warehousing should be comprehensive models of all required components and artefacts, and should explicitly state how the pieces of the architectural whole, fit together, how the data flows through the architecture and how the architecture sits in the current and future IT landscape of the organisation. What does this mean in practice? Think of a house, a comprehensive architecture should not stop at identifying rooms, functions of rooms, doors, windows, walls and the roof – this is good start, and helps us to get an idea of the house we are conceptualising, that is where its usefulness starts. Just as we would not want to build a house, simply be following a sketchy outline. The same goes for the data warehouse, and although at a trivial level a reference architecture looks like a series of boxes and arrows, it does not stop there. It is imperative that we learn to build the EDW using development methodologies specifically designed for iterative development project cycles. Indeed, trying to use a methodology, such as the System Development Lifecycle (SDLC), in an EDW project, is a damaging, costly and senseless exercise in vanity. There are public domain iterative methodologies that we can use as the basis for our approach to EDW project iterations. Alternatively, it is possible to license data warehousing methodologies from a number of vendors and consulting service providers. One of the most comprehensive enterprise data warehousing methodologies available today is IBM’s Iterations process model. It has the best pedigree of all Data Warehousing methodologies. Bill Inmon’s company Prism Solutions released the first commercial version of Iterations to the market in the mid-nineties. Design – Designing the data environment, data access environment, data extraction environment, maintenance-processing environment and the detailed technical environment. Construction – The building and unit testing of the data extraction solutions, data access solutions, maintenance-processing solutions, the technical environment and the development of end-user training. Testing – The performance of various levels of data warehouse testing, including systems, integration testing and user acceptance testing. Implementation – The process of making the BI infrastructure accessible. The process of putting a developed iteration into the production environment. So, what is the purpose of using development methodologies? There are many explanation of the role of development methodologies, but one definition that is simple, clear and comprehensive defines it as as “a means of improving the management and control of the software development process, structuring and simplifying the process, and standardizing the development process and product by specifying activities to be done and techniques to be used”. So, what is the purpose of EDW data models and EDW frameworks and templates? In addition, what are industry data models? Industry models (such as the leading models from IBM) combine deep expertise and industry best practice in a usable ‘blueprint’ form for both business and IT communities to allow them to accelerate the requirements-to-execution development span of industry solutions. The best of these industry models have been using the experience of hundreds of implementations, and decades of development. 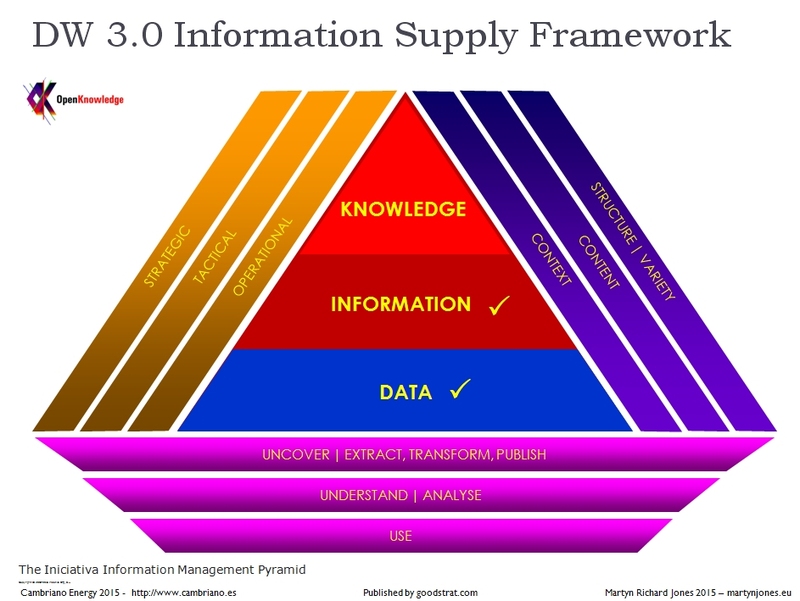 A sound way to appreciate the potential usefulness of an industry data model is by first understanding the core reasons behind its structures, the components and facets of the structures themselves and the logic of how it can be used to store, map, classify, relate, select and retrieve data. To this end, vendors aim to provide “comprehensive data models containing data warehouse design models, business terminology model and analysis templates to accelerate the development of business intelligence applications. Second, best practice business process models with supportive service definitions for development of a service-oriented architecture (SOA)”. Which, when applied correctly, should result in the acceleration of Data Warehouse and Data Integration project iteration time-frames and also reduced risk. We could consider Data Marts, an Operational Data Store and the Data Warehouse itself as construction components. However, this section is principally about the componentisation of Data Quality and ETL processes. I do not intend to dwell too much on this aspect; primarily this is the facet out of all of those I have covered here, that most people will be familiar with and will be aware of the options available. We can componentise a significant proportion of Data Warehouse development. Especially components related to ETL. Many of these components (which take the forms of widgets, patterns, templates or applets) are available from ETL vendors. Useful ETL templates and widgets are also available in the public domain. ETL job stream or project components includes Source, Transformation, Lookup, Staging, Destination, and Loader components. Source components – transport data for a transformation stream. An ETL job stream or project normally starts with one or more source components. Source components have at least one output port. Transformation components, Lookup components, and Staging components – apply specific transformations to the data in the transformation stream. These types of components have both input ports and output ports. Target components or Destination components (also called data sinks) – write data to specific targets. Target components have one input port and no output ports. Loader components – extract and load data from a source database or file into the database, without performing any transformation. Oracle’s SQL*Loader was an example of a loader component. In terms of Data Quality, there are a number of components available for cleaning and quality checking the veracity of data. For example, Data Quality Components for Microsoft’s SSIS is a suite of custom data cleansing transformation components for Microsoft SQL Server Integration Services (SSIS) to “standardize, verify, correct, consolidate and update all your contact data for effective communications”. Other similar component features are available from other Data Integration vendors, such as Informatica, Oracle, SAP, IBM and Talend. One interesting offer that I would like to highlight are the InfoSphere Warehouse Packs from IBM, which cover aspects such as Customer Insight, Market and Campaign Insight, and, Supply Chain Insight. What is the purpose of the construction components? They provide plug, configure, program and play options to speed development, testing, acceptance and deployment. What are the EDW construction components? They can be widgets, templates, patterns, apps or macros. What is the purpose of components? Speed and ease development. Leverage reuse of work already done, tested and proved. In summary, we will see that organisations that adopt, nurture and evolve the principles, practices and technologies contained in proven EDW reference architectures, industry data models and construction components, will come to benefit from an evolving EDW paradigm that is both useful and usable. In this way, the most responsive of organisations will be able to verify, for themselves, that the EDW paradigm has a great future as a determining factor in the iterative improvement of productivity, resilience and cost effectiveness in the provision of agile collaboration, usable innovation and process accuracy in the formulation of options and the execution of decisions. Commit to Data Warehousing only if there is a sustainable business imperative. Stick to the core DW fundamentals as defined by Bill Inmon. This approach does not clash with the super-advanced business-oriented dimensional modelling of Ralph Kimball, or the Data Vault approach of Dan Linstead. Use a proven iterative methodology specifically designed for Data Warehousing and Data Integration. Leverage anything and everything that will help you to reliably, cost-effectively and coherently analyse, build, test and deliver your Data Warehouse iterations. Use outsourcing and offshoring for purely non-Agile technical aspects of Data Warehousing described exhaustively and unambiguously in development documentation. Continually test your Data Warehouse to ensure that you are not at risk of straying into the twilight zone of Information Management failure. Data Warehousing, done right, will give IT a good name amongst business people.